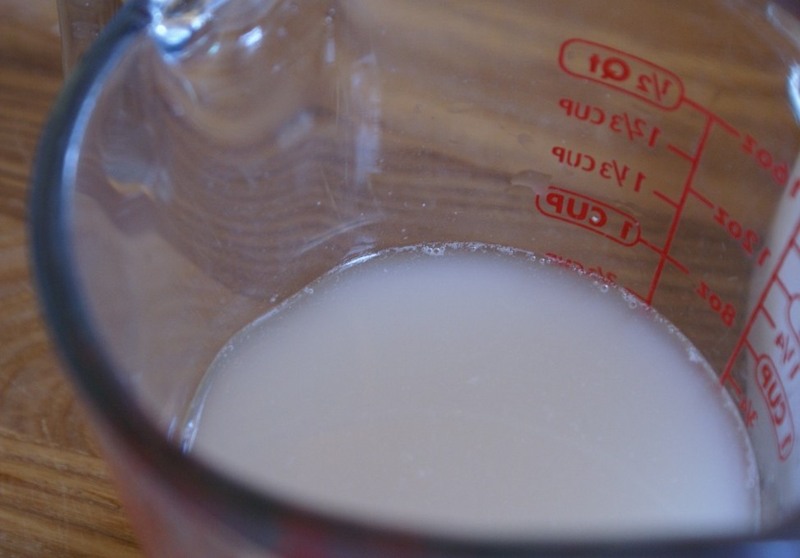 Dissolve the yeast in the cold water. In another dish combine yogurt and water, add honey and salt. 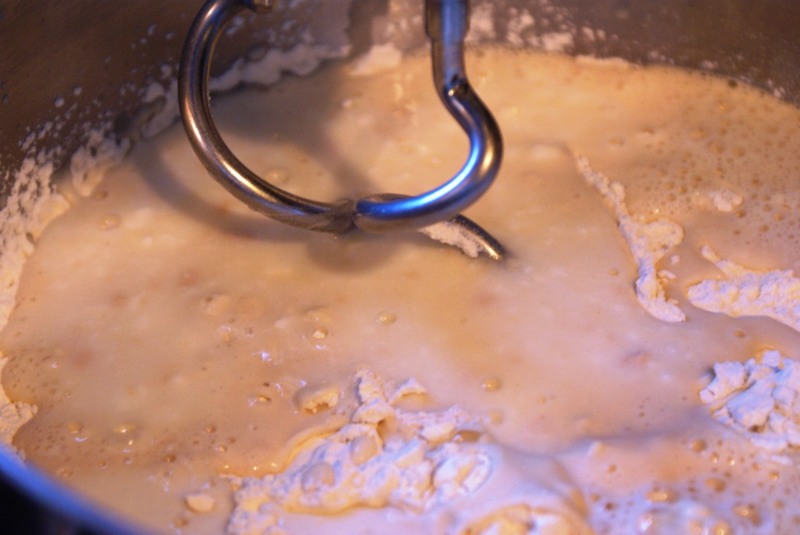 Place the flour in a mixer bowl with the hook attachments. Start mixing slowly adding the yeast mixture. After that slowly add the yogurt mixture. Let it mix on a slow-medium setting for about 10 minutes. The dough will be firm. Cover and let rise on a room temperature for about 3-4 hours. Collapse it, cover again and place in the fridge for another 20 hours. The dough needs to rest for about 24 hours. 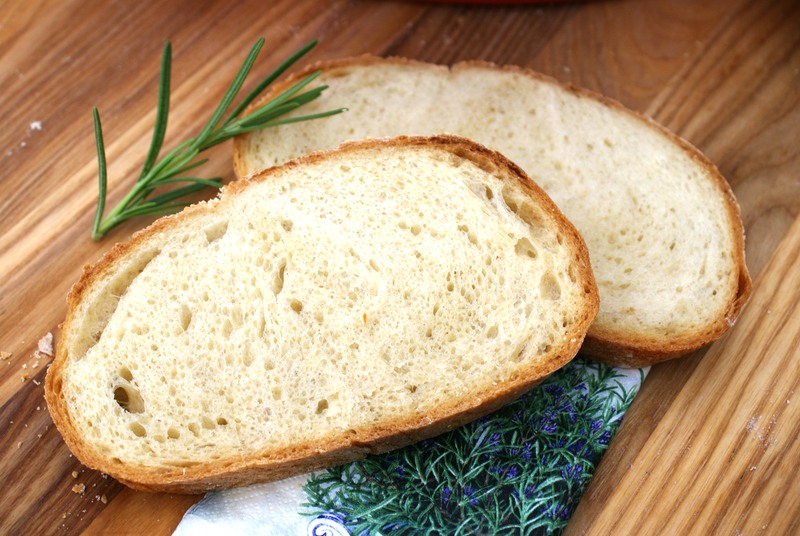 When ready to shape the bread, remove from the fridge and leave at room temperature for couple of hours. 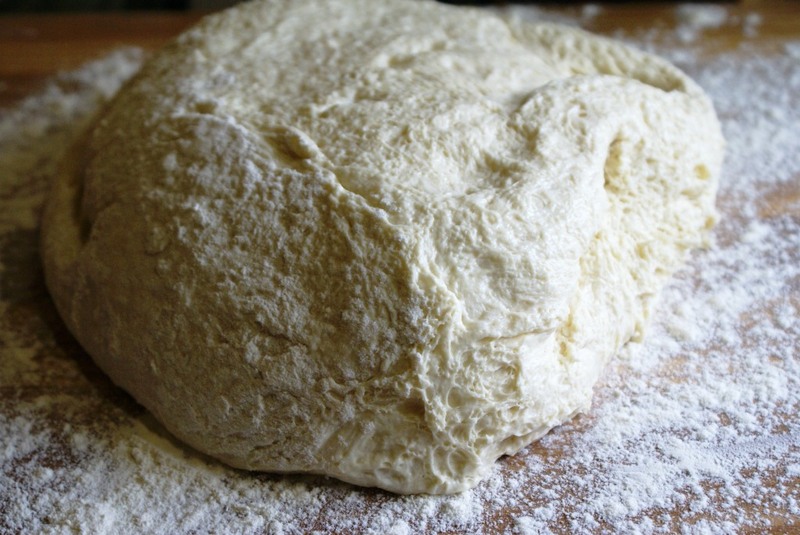 Dust your working surface with flour, knead the dough thoroughly and shape into an oval. 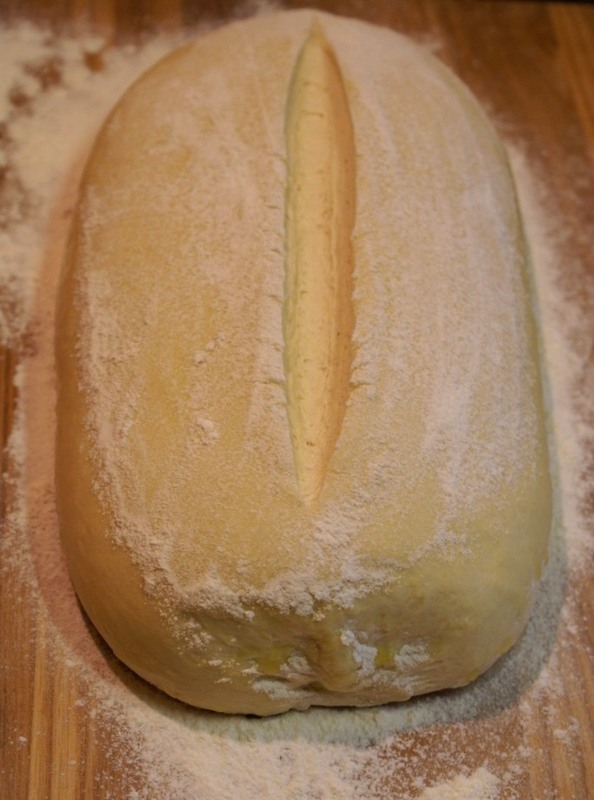 Brush all over with olive oil and liberally dust with flour, cover and let it rise until double in size. Score it in the middle. Heat the oven to 425 F (218 C), place the baking stone/dish in the oven for at least 30 minutes. Place a cup of water on the bottom of the oven. 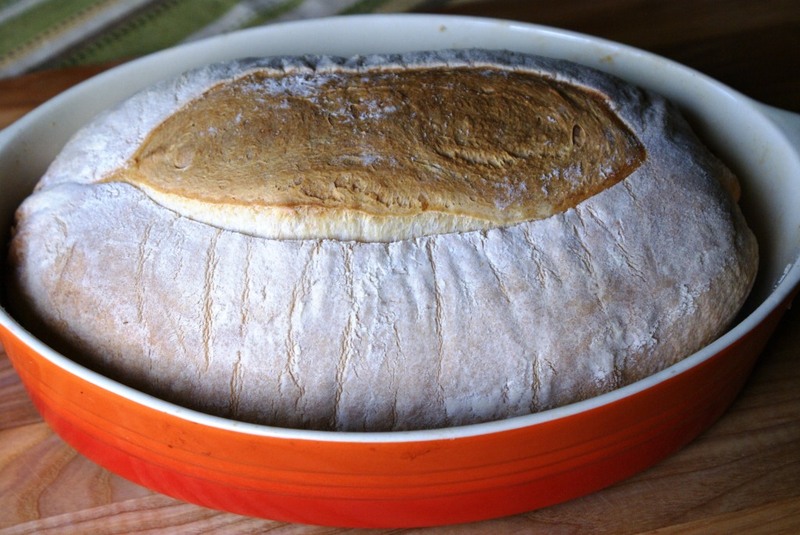 Put the bread onto the stone and bake for about 45-60 minutes. Cool completely, slice and enjoy! 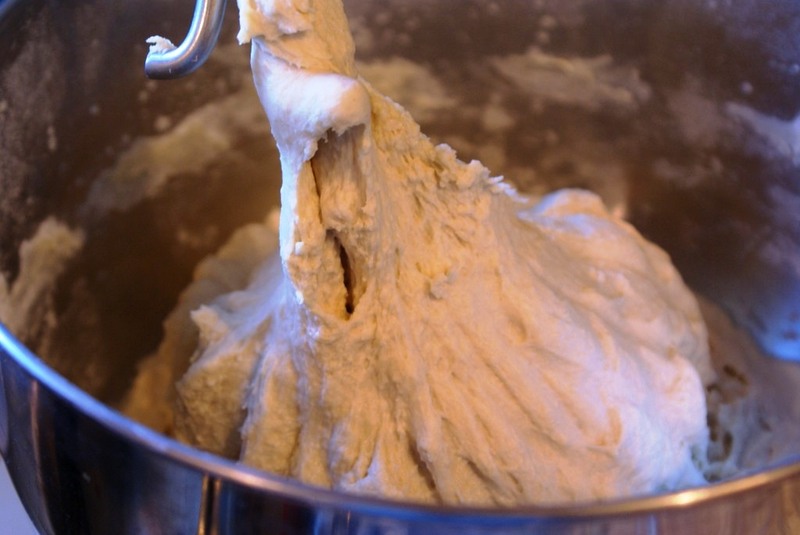 Dough right after removed from the fridge and 24 hour rest. 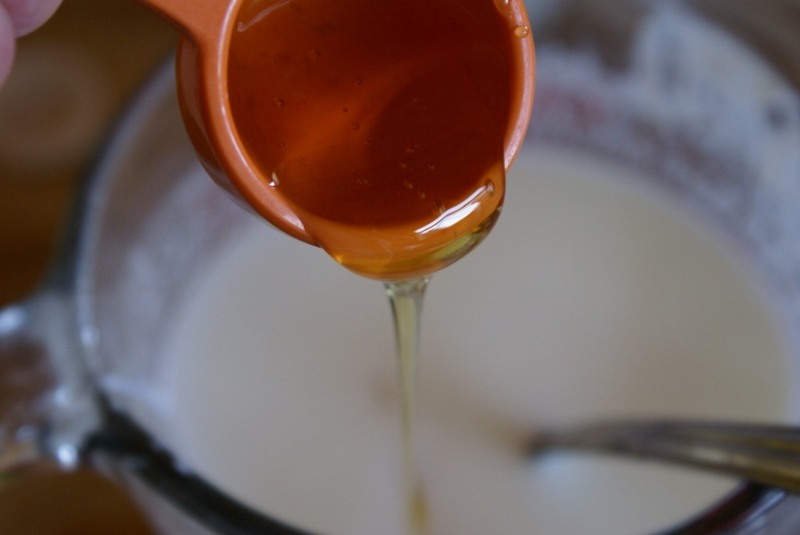 Yogurt and honey sound like a delicious combination! Thanks, it really is a great combination! 🙂 Honey is used instead of sugar to help the rising process. I must say that it enhances the taste and yogurt adds the moisture. I react the same way as you when I go to make something, I keep thinking about it! I guess we just like doing that kind of stuff, baking and tasting! Great bread! 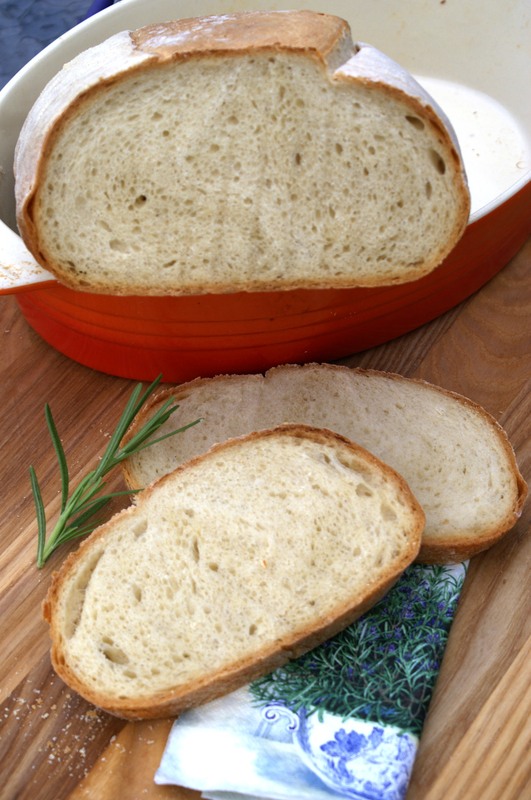 Beautiful bread, Sibella. My biggest challenge is knowing when it’s cooked long enough. Any suggestions? Thanks for sending my blog link to your friend! 🙂 I will sure visit her blog! Haha, I’ve been in a bread baking mood past few weeks! Last night made grilled cheese sandwiches with this bread – inspired by your post 🙂 They were super yummy! 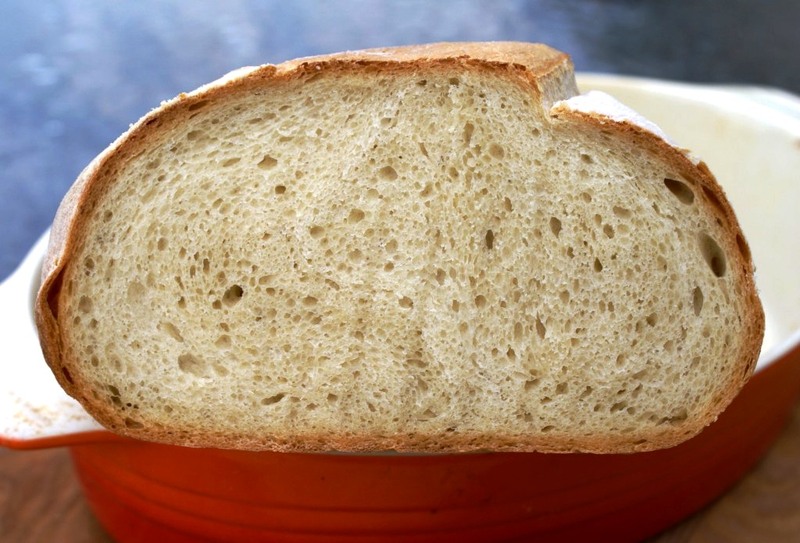 I love bread with yogurt in them..it makes such a big difference!